Well, next on my list (and reasonably so), was Kioptrix Level 1.2, again by loneferret, and still hosted on VulnHub. To start things off, I fired up netdiscover to find the IP of this new VM. 172.16.119.1    00:50:56:c0:00:01    03    180   VMWare, Inc.
172.16.119.254  00:50:56:ff:4e:a8    01    060   VMWare, Inc.
172.16.119.133  00:0c:29:53:19:4c    01    060   VMware, Inc.
Next up was a quick Nmap scan to get an idea of the attack surface. With that completed, I figured I'd check out the home page to see if there was anything useful. Based on the page and its source, this was some sort of Administrative console login, so it would be very useful if I could get in through this. I decided to try some basic SQL injection to see if I could either get in, or at least get some sort of error condition to continue along that path. That was easy. From here it looks like I had access to some sort of tool to ping a machine on the network. It looked like it was just taking the IP address from the box, and appending it directly to a ping command...I decided to try and see if I could execute additional commands with a quick uname test. Knowing that I could add additional commands at the end of the ping, I decided to try a quick and easy reverse bash shell that I saw on pentestmonkey. On my attacker side, I setup netcat as my listener and waited. 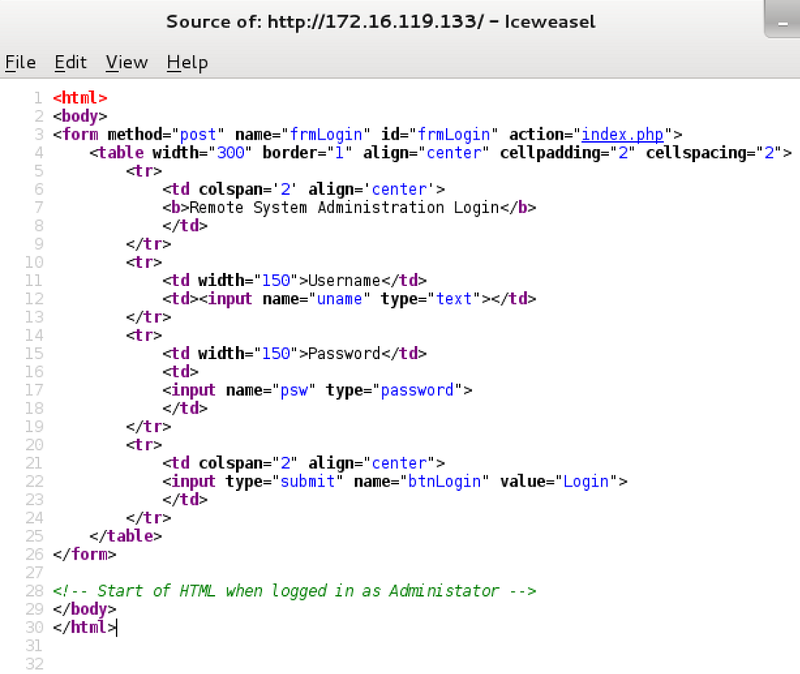 Shortly after executing the command in the web admin console, I had a shell. A quick search showed that this kernel was probably vulnerable to the sock_sendpage() NULL pointer dereference exploit, so I downloaded it, copied it over, and compiled it. Fingers crossed, I executed it and got my root shell! There was nothing interesting in the /root directory or root's mail this time, but there were a few passwords and other interesting information inside of the .mysql_history file. And, as I do whenever I remember, I dumped the shadow file for later/for others. While this level seemed to go a little quicker than the first one for me, I think I enjoyed it a little more than level 1 for the inclusion of SQL and command injection. Another solid beginner level VM from loneferret though, and I look forward to level 3. I am using Kali linux 64-bit and it is NATed; when i am trying to wget ring0 exploit to the victim server, i am getting an error message saying “Http request sent, awaiting response 404 not found”. I have tried all possible things to put the exploit in the /tmp directory of the victim web server. Is there any work around? Can you make sure that the target box can ping your attacking machine? If not, then there may be a connectivity issue. 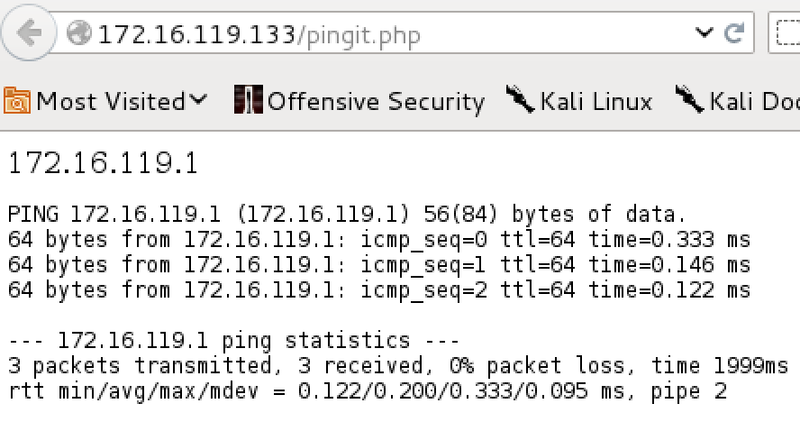 If it can, try the -4 flag with wget just in case one of the boxes is trying to use IPV6. If neither of those work, then let me know! I finally understood my mistake, I had to place my ring0.c file in /var/www/html. This resolved the issue and I was able to root. Thanks ! for your help. Awesome, glad to hear that you got it working and exploited!